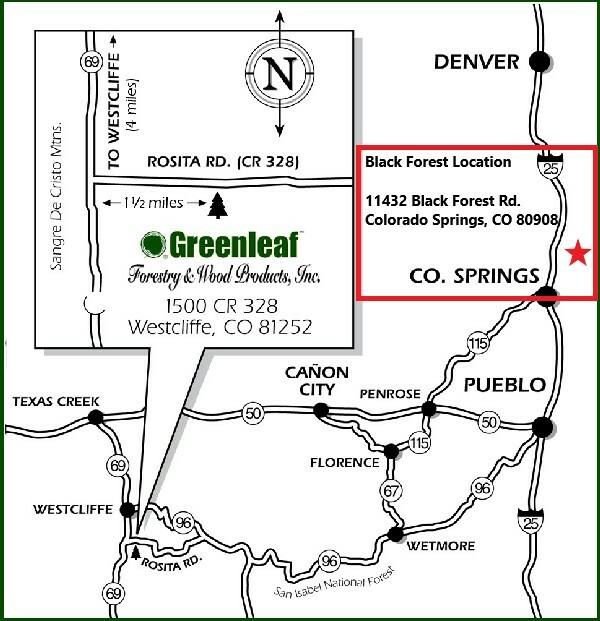 Come visit us and enjoy Westcliffe! In Westcliffe turn south onto Hwy 69 and continue about 4 miles to Rosita Road. Turn left onto Rosita Road and go east approximately 1.5 miles. 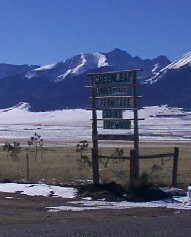 Turn right at the Greenleaf signs and drive down the hill into the mill site and showroom. Take Hwy. 96 west 55 miles to Westcliffe. Follow directions above from Westcliffe. Take Hwy 50 east to Cotopaxi. Turn right on 1A. Turn right on Hwy 69 and go south to Westcliffe. Follow directions above from Westcliffe. Take Hwy 69 (I-25 Exit 52) north approximately 55 miles to Rosita Road. Turn right on Rosita Road and go east approximately 1.5 miles. Turn right at the Greenleaf signs and drive down the hill into the mill site and showroom. Take Hwy 160 East to Walsenburg. Follow directions above from Walsenburg.